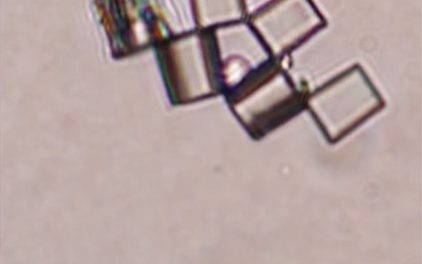 Collaborators from North Carolina State University and Duke University have developed a method to remotely manipulate cells and other tiny objects in a liquid medium using magnets and what looks like articulating microscopic Lego blocks. The technology, relying on magnetic fields to control and power combinations of blocks to move together, doesn’t require any direct contact by an instrument reaching into the liquid medium. Instead the blocks are coerced to group into different shapes and to move together to change the shape of the structure they’re a part of. The shapes can be in the form of clasps that can grab onto individual cells and move them around. This activity is quite gentle on the cells and allow the cells to be manipulated without causing them damage. The individual blocks are made of a polymer with a metallic coating on one side in order to be able to move the blocks in desired directions. When grouped together, energy can actually be stored inside a configuration of blocks so that one shape is maintained when a magnet is on and another one comes about as soon as the magnetic field is turned off.